If you notice that your monthly energy bill is climbing quickly when you run the AC, it might be time to think about replacing the air conditioner. Typically, if your AC is acting up and the repair cost is close to 50% of replacement cost, it is recommended to replace it. Air conditioner installation can be expensive, but so can constant repairs. Especially if you don’t keep up with your annual maintenance. When you have a programmable thermostat it will help in saving money. That’s because when you are not home it will shut off the system or it will even adjust the temperature. 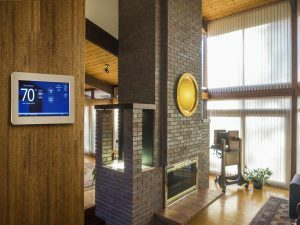 There are many new thermostats available that have apps which will let you adjust the whole thing through your smartphone. Some popular choices are the Sensi and Nest thermostats. You can stay on the couch or be at work and adjust the temperature from your phone. So, just before half an hour you enter home adjust everything and it will keep you comfortable versus running your AC all day at 70 degrees. For reducing your energy bills this is another important thing. You may keep your home clean but the dust accumulation cannot be stopped. Moreover, the hair also gets accumulated in the filters and thus clogging it. When your ac filters are dirty, your air conditioner has to work that much harder to pull air through the system. This does result in higher electric bills. Most people don’t think about their 20.00 air filter costing them twice that per month in wasted electricity. It will make your AC unit work so much harder if clogged or needing replacement. Mark it on your calendar so you never forget. You should change your air filter every 3 months. Your system faces much wear and tear when it runs and getting it maintained by an HVAC technician will help in its performance. 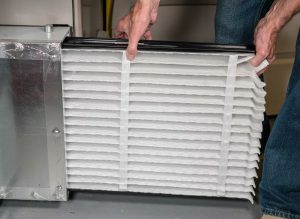 While they serve the air conditioner they will check out for any defects, remove the dust and dirt particles accumulated, replace air filters, service the unit and do anything else that is required. You may think that it is wastage of time but regular maintenance will help in preventing extra energy consumption thus saving on your bills. Thus, before you think about the replacement of your air conditioner make sure you have done the above. Even after that if you still feel it’s not working you can always go for air conditioner replacement. With proper care, an air conditioner should last about 15 years. If you don’t take care of them, you’ll be lucky to get 10 years before you need an air conditioner replaced. Since your HVAC System is your most expensive appliance, take the proper precautions and make it last.